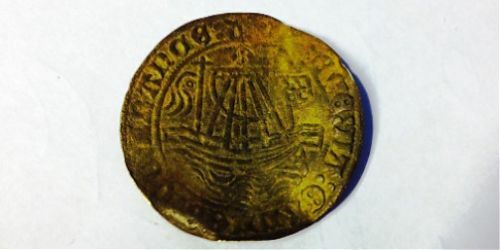 During a recent visit to the foreshore near Southwark Bridge with Eliott, one of our MOLA colleagues, Nick Elsden, spotted this lovely jetton or token. Mernick, P. and Algar, D., 2001. ‘Jettons or Casting Counters’, Salisbury Museum Medieval Catalogue 3, 213–60. M. Mitchiner, 1988. Jetons, medalets and tokens: the medieval period and Nuremberg. Vol I., Seaby. 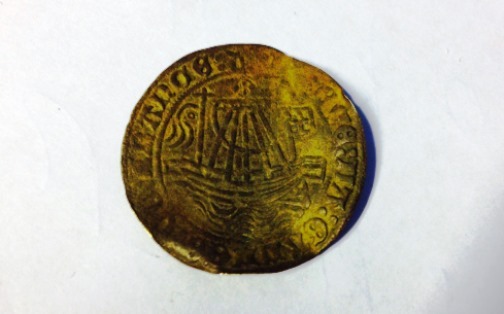 The City foreshore at Cannon Street continues to reveal fascinating finds from all periods!